March 1998 In partnership, Yoshitaka Sonoda, as president, and Yoshinori Kobayashi founded the firm in Koto Ward, Tokyo, at the Time 24 Office Building. 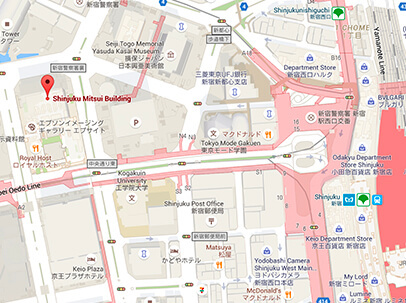 May 2001 Relocated to the Shinjuku Sumitomo Building. 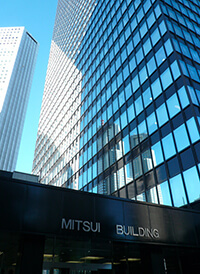 December 2004 Relocated to the Shinjuku Mitsui Building. January 2015 Firm divided into SONODA & KOBAYASHI Intellectual Property Law (Yoshitaka Sonoda as managing partner) and SONODA & Kobayashi IP SERVICES Inc. (Yoshitaka Sonoda as CEO). July 2015 Akira Fujii, Toshiyasu Ishioka, Yoshitaka Togashi, and Kimio Sato joined as partners, Yoshinori Kobayashi serving as counsel.